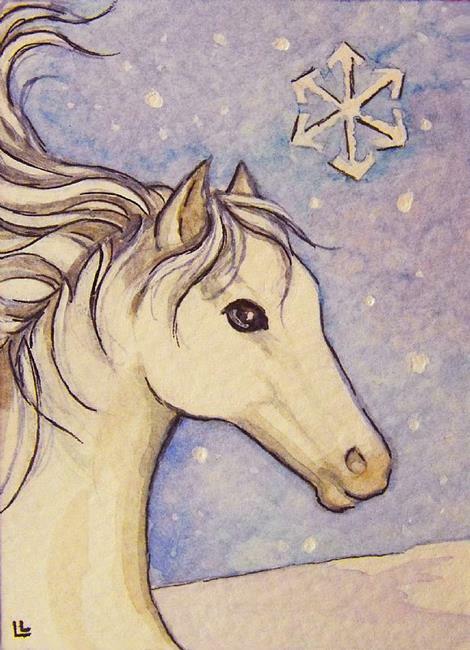 Snowflake, the white horse, loves to romp in the snow! Perhaps it is because he knows he has loving owners and a nice warm barn to go home to, with lots of grain and hay. For sale now on eBay... Search "Lindi EBSQ"!